Location: Your home or office. ~~How to conduct spiritual hypnosis without the use of any outside spirits, religious or spiritual belief systems! Level 1 Includes: 50 Hour Wellpoint Hypnosis Method™ Practitioner Certification including a license to use SOUNDSYNCTECH™ for Wellpoint Method, a trademarked sound frequency ​​technology through a twelve month Wellpoint Alumni Membership. * New practitioners who have successfully completed their Level 1 training, provided documentation of receiving (2) Wellpoint Hypnosis Method™ sessions, provide documentation of giving (5) practice sessions, and in good standing may now be listed on our website as a Level 1 Wellpoint Hypnosis Method™ Certified Practitioner. At Wellpoint Hypnosis Method™ we would like everyone who completes our training (live or online) to become successful practitioners. It does not matter if you choose to provide sessions to friends & family for fun, or to create a thriving professional practice with clients from around the world. 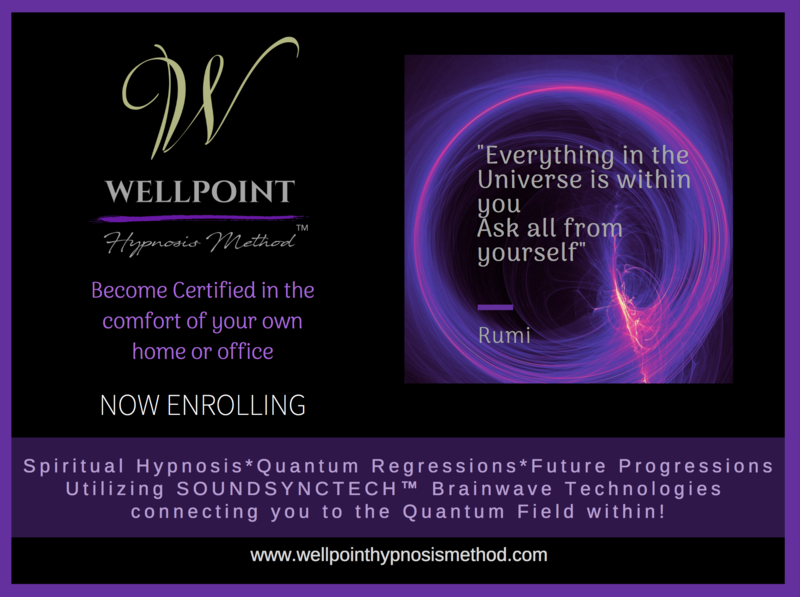 After receiving your certification…you can become a member of our Wellpoint Hypnosis Method™ Certified Practitioners: Alumni Membership for your first year. Once your first year has concluded, you may continue your membership for a small fee. Membership of this group offers a wide range of benefits together with permission for your continued use of Wellpoint Hypnosis Method™ branding. Learn how to travel the world and get paid for it! Note: Some states/countries may require a license to practice hypnosis. A certificate of completion will be provided for the 50 hour Level 1 Wellpoint Hypnosis Method™ only. Attendees are responsible for their own transportation, lodging & meals. Please bring a small recorder for practice sessions, a notebook & pen. Cell phone usage during class is not permitted. Students receive a training manual, thumb drive with documents and mp3’s, light snack and beverages provided each day. 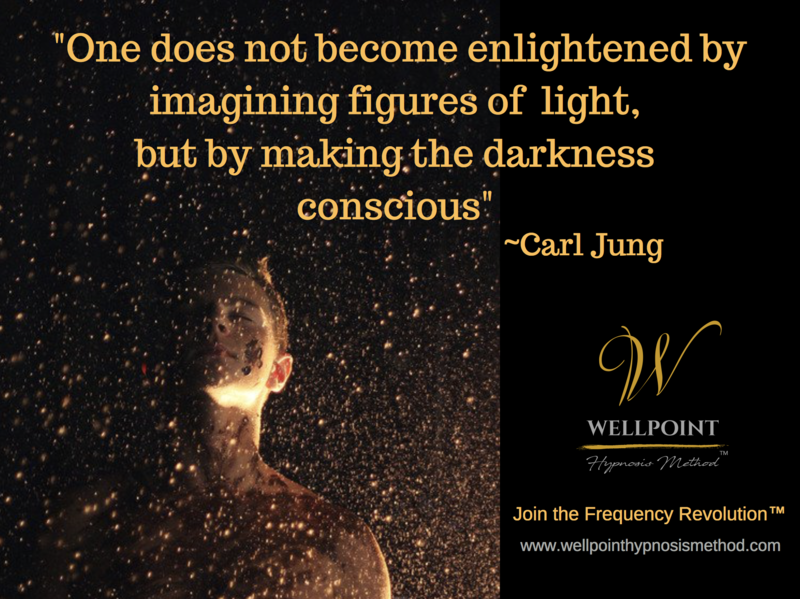 Would you like to receive a Wellpoint Hypnosis Session?